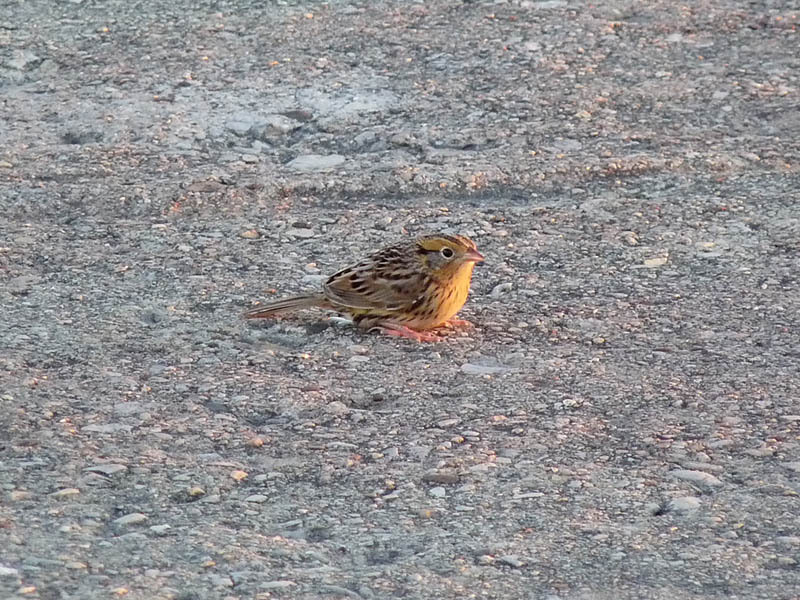 I’ve had some weird birding experiences, but this morning’s encounter with an out of place Le Conte’s Sparrow has to rank as one of the strangest. I was walking on the fishing pier when about two-thirds of the way out I noticed a small bird standing on the concrete just ahead of me. If you’ve been to the fishing pier you know that it doesn’t offer much in the way of cover, plus it’s surrounded by Lake Michigan. Not the most desirable habitat for a migrating passerine. The bird was holding perfectly still; if I wasn’t looking down I may have stepped on it. At first glance I thought it was a Golden-crowned Kinglet, but upon closer scrutiny it turned out to be a Le Conte’s Sparrow! There, on the concrete, exposed and in the open, was a bird known for its skulking habits, a bird that can be frustratingly difficult to see well. It was alert and seemed healthy, so I’m guessing it came in off the lake after a night of migration and plunked down on the pier because that was the first “land” it encountered. I’m also guessing the 2 Peregrine Falcons patrolling the beach were why it was holding so still and why it was reluctant to fly. I took a few pics before turning around and walking back. 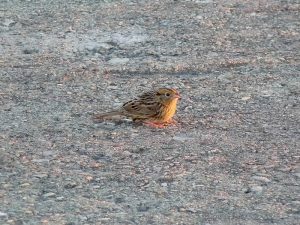 This entry was posted in Fall Bird Reports and tagged Le Conte's Sparrow, Sparrows on November 7, 2016 by rhughes. 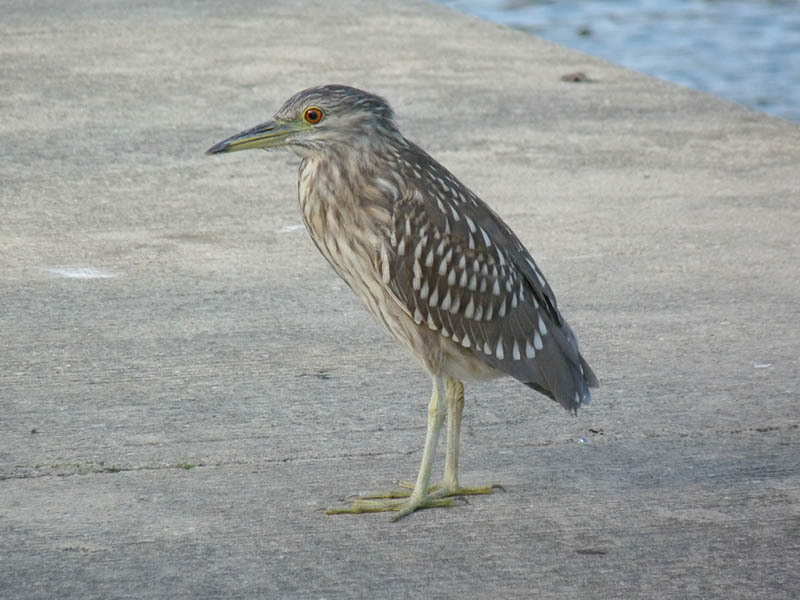 A juvenile Black-crowned Night-Heron has been hanging around Montrose Harbor for several weeks, taking handouts of fish given by sympathetic local fishermen. Most Black-crowned Night-Herons have departed for the fall. We’ll see how long this one stays. This entry was posted in Fall Bird Reports and tagged Black-crowned Night-Heron, Herons on November 3, 2016 by rhughes.